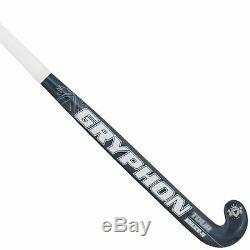 Gryphon Tour DII Composite Outdoor Field Hockey Stick 2017. 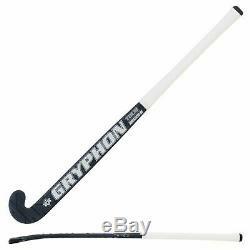 Gryphon Tour DII Composite Outdoor Field Hockey Stick 2017 Gryphon Tour DII Composite Outdoor Field Hockey Stick 2017 Playing Characteristics:The Tour gives you the potential power output and instant touch response that comes with the extreme stiffness of our ultimate lay-up but with a cushioned feel through the application of a silicon sleeve to the handle Profile: Ultra Late Bow, a 23mm peak at 205mm Profile Characteristics: The advanced DII profile maximises dynamic ball skills, precision drag flicking and booming overhead passes. Designed for highly skilled and technically aware players, wrist position adjustment is needed to perform the basics. Available in 36.5" & 37.5". We deliver through door to door service. If you wish to know what information we currently have about you, or are dissatisfied with Brilliant Sports privacy policies or practices, you may send a written request or complaint to the Privacy Officer. The Privacy Officer will investigate the matter and respond to your request within 30 days. In the event that you become aware that the information we have about you is incorrect, you should notify the Privacy Officer, who will ensure the information is updated. In the case of a complaint, the Privacy Officer will take corrective action (if necessary) and will advise you of the steps taken to correct the problem. If you are still unsatisfied with the actions taken, you may be entitled to make a written complaint to the appropriate government or legislative body. In order to make every effort to ensure that your experience on the Brilliant Sports Online Store is secure, we use encryption technology to protect you against the loss, misuse or alteration of your personal information. When you fill out any contact forms or access your account, a secure server encrypts all of your information. So if you are paying for returning charges that's mean it's not a bad deal. If your product has some defect, simply take photo of that section and send that to us. Hold that product to you until your next arrived at your door step. Unless other arrangements have been made on request. Note: In the case of event discount will not be credit back. If you need any help to choice right size for you, if you want to discuss any new design, If you want any verification, if you have any idea or even if you just want to say "HI". We will be here always for you with all of answer with experience and best believe. 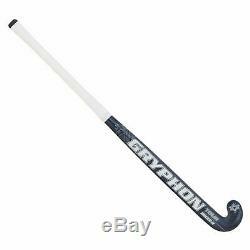 The item "Gryphon Tour DII Composite Outdoor Field Hockey Stick 2017 Size 36.5 & 37.5" is in sale since Friday, March 1, 2019. This item is in the category "Sporting Goods\Team Sports\Field Hockey". The seller is "liamrimpex" and is located in sialkot. This item can be shipped worldwide.